Morcellation devices put women at increased risk of uterine cancer when used during hysterectomy or myomectomy procedures. Women suffering from unexpected cancers are filing lawsuits. Laparoscopic power morcellators are tools used in fibroid removal procedures that cut up uterine growth so that the growth can be more easily removed using noninvasive procedures. They could be used as part of either a myomectomy (removal of uterine fibroids) or hysterectomy (removal of uterus). The power morcellator essentially cuts uterine growth (fibroids) into very small pieces that can be removed by vacuum through a small incision. Numerous women have filed morcellator lawsuits against Johnson & Johnson and other manufacturers of these morcellation devices, alleging they were not informed of the risks before undergoing their laparoscopic procedures. See if you qualify for Power Morcellator Litigation and the right to potentially significant financial recovery. The Power Morcellator Instant Case Evaluator provides lawsuit qualification information and details regarding your situation. Did you undergo a fibroid removal surgery? Were you diagnosed with uterine cancer? In order to streamline early trial proceedings and make the process more convenient and efficient for all parties involved, federal court cases involving Ethicon power morcellators were coordinated into multidistrict litigation (MDL) in Kansas. The MDL is used to determine pretrial rulings in cases that involve many plaintiffs but a common question of fact. Cases currently pending in the MDL will be transferred back to their originating court for trial if settlement does not occur prior to trial.Women who believe that their cancer diagnosis was made worse as a result of their choice to undergo a less invasive fibroid surgery or hysterectomy are currently filing lawsuits. In April 2014, the U.S. Food and Drug Administration (FDA) issued a safety communication to warn physicians and patients that power morcellators could spread undetected cancer cells. Because there is no definitive way to know for sure if cancer cells are present prior to a procedure, the FDA recommended at the time that patients be counseled on the risks associated with power morcellators. The agency also advised that morcellators should not be used in the majority of hysterectomies and myomectomies, since vaginal procedures are typically associated with better results and fewer complications. Suffering From Uterine Cancer After Fibroid Removal Surgery? Get Instant Online Analysis Now! As a result of a public outcry and the FDA warning, the largest manufacturer of the Power Morcellator tool, Johnson & Johnson, pulled the device off the market but there are still women today learning of the connection between a laparoscopic procedure and their uterine cancer diagnosis. Many women choose to undergo laparoscopic hysterectomy or myomectomy because it is associated with benefits such as a shorter post-operative recovery time and reduced risk of infection compared to abdominal hysterectomy and myomectomy. The minimally invasive nature of surgery involving a power morcellator made it an appealing choice for many women undergoing hysterectomies or myomectomies until Johnson & Johnson pulled the device from the market. According to investigations, Approximately 1 in 350 women undergoing these types of surgeries have an undetected form of uterine cancer. In these women, there is a risk that the morcellator will spread the cancerous tissue, decreasing the likelihood of long-term survival. 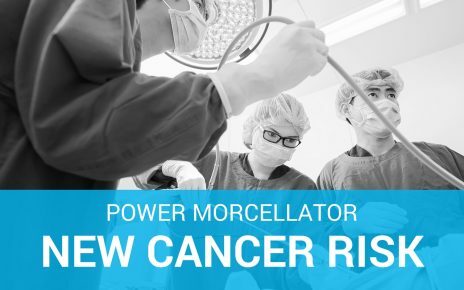 After public outcry and pressure from medical professionals, the FDA issued a strong warning regarding the use of power morcellators, in which it discouraged their use and directed surgeons to discuss the risks of using power morcellators with their patients. How Do I Pick a Power Morcellator Lawyer? Sometimes you need a lawyer near you and sometimes its best to hire a lawyer based on the lawyer’s resources and experiences. The right lawyer for mass-tort litigations may not be your local lawyer. Mass tort cases filed all over the country are often consolidated into a single courtroom in order to move the many lawsuits through the courts in the most effective and efficient way. A lawyer experienced with the multidistrict litigation process with the ability to represent clients in all 50 states, is likely to be a good fit for mass tort litigation. TruLaw is not afraid to take on the largest drug and medical device companies in the world. We work with trusted legal affiliates to make sure that TruLaw clients have the resources and experiences needed to hold big business accountable when they put profits over people. How Can a Power Morcellator Lawsuit Help? Your Power Morcellator Surgery lawsuit is designed to help you financially recover from injuries that were caused by someone else. We hope putting your trust in TruLaw will take away your concern of protecting your legal rights., but it is most important to us that you spend your time recovering physically. Your lawsuit should assist in covering your medical bills, the amount of income and benefits that you lost as a result of your injury and, if your injuries are permanent, we will look to recover for your permanent disfigurement. In addition, it is always our hope that your lawsuit will help us to remove dangerous drugs, toxins and devices from the market. We are not only lawyers, but also safety advocates that believe in getting information out to the public so no more people are injured. We hope you will join us in the role as a safety advocate. Is there a Power Morcellator Class Action? A Mass tort refers to civil actions involving numerous plaintiffs against one or a few corporate defendants in state or federal court. Class actions are mass torts that are generally used on financial losses and multidistrict litigations (MDL) are generally used on personal injury claims, often in product liability cases. MDL is a procedural tool used when plaintiffs have incurred injuries from products manufactured by the same defendant(s). Even when plaintiffs incur injuries from the same defendant(s), the amount of damages they may recover for those injuries are often substantially different from other plaintiffs included in the same lawsuit. It is important to understand that mass tort cases are an effective tool to getting the attention of the large drug and device companies. MDLs assist lawyers in determining exactly what the drug and device companies knew about the risks their products caused and whether or not they should have warned consumers. Too often, consumers believe that they can file a single lawsuit and get the attention of big drug companies. This is very hard to do. Technically, MDLs do not happen until a judicial panel transfers individual cases to a single court. Depending on when your lawsuit is filed, you may find yourself automatically transferred to the MDL court or you may wait to learn when and if the JPML believes an MDL is the proper venue for the mass tort. But, rest assured, even if your case is included in an MDL, TruLaw lawyers will treat your injuries, your medical history and your financial needs separately. We are aware that not all cases are the same. Has There Been a Power Morcellator Settlement? We understand the frustration in waiting to hear about settlements in product liability lawsuits. Unfortunately, in drug and device cases, we have no choice but to sue some of the most profitable companies in the world. Big Pharma has deep pockets and lawsuits are a cost of doing business for them. They are not inclined to settle until it makes business sense to them. TruLaw lawyers building our cases with an eye on winning in court as well as settlement, when we believe that is the best result for our clients. We will never settle without advising you of your options, and we will keep you posted on our progress, to the extent we are legally able. Is there currently a Power Morcellator Lawsuit? A corporation, by definition is profit seeking. There is no requirement that a corporation act morally. Unfortunately, too often we see dangerous drugs, devices and products remain on the market when corporations prioritize profit over people. If these same corporations warn consumers of these risks, there is no case. We only pursue lawsuits on behalf of individuals who were not warned of the risk associated with the dangerous drug, device or product on the market. TruLaw is pursuing Power Morcellator Lawsuits because we believe consumers were not properly warned of the risks of injury. Have you seen a Power Morcellator Lawsuit Commercial? Did a recent Power Morcellator commercial grab your attention? Did you find our site because you were wondering if you qualify for Power Morcellation Surgery lawsuits? We built the Power Morcellator Instant Case Evaluator as a no cost/no obligation place for you to find answers about your legal rights. If you found us today, you are looking for instant answers to whether you should file a Power Morcellator Lawsuit and we want to help you. We believe that in order for you to make important decisions about your health and your legal rights, you need to start with information. We provide you this valuable information so you are prepared to talk to a lawyer. Should you file a Power Morcellator Lawsuit to protect your legal rights? Did you undergo one of these surgeries? Were you diagnosed with one of the following? If you answered yes to these two questions you should look into your legal rights.Fill out our Secure Power Morcellator Instant Case Evaluation if you believe you may need to protect your legal rights. View Your Power Morcellator Case Analysis Now! Was a “Power Morcellator" used in your non-invasive surgery? Which surgery did you have? What state was the surgery performed in? When did you have the surgery? Please add any additional information that will help us determine if you or your loved one qualifies for compensation. Receive instant case analysis upon submission of this form.